Palate: Flavorsome, crisp, and well defined. A combination of grapes, fleshy fruits, and aromatic spices. 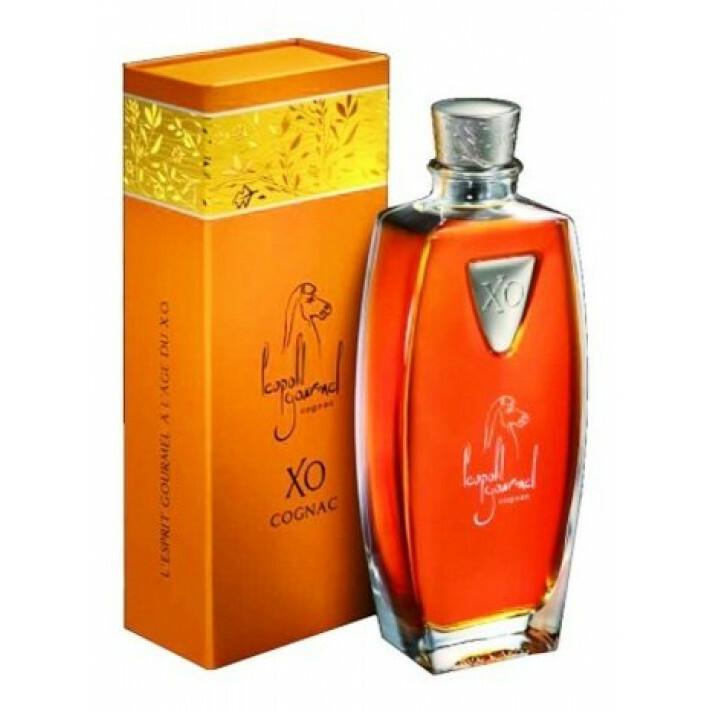 The Leopold Gourmel XO Cognac comes in a delightful decanter (50cl in size) and presentation box - making it the perfect choice for a gift, or simply as a present to yourself! A clean, refreshing, non-agressive Cognac, it's the ideal choice for a digestif after a good meal. The flavor also lends itself well to pairing with a quality cigar, for those who enjoy such a combination. Thanks to the aging process, there are hints of rancio on the palate. And everything about this Cognac is pleasing to the senses. From the high-quality packaging, to the eye-pleasing color, delicious aromas, taste and, naturally, a satisfyingly long finish, this Cognac wins on all fronts. A wonderful addition to any drinks cabinet.